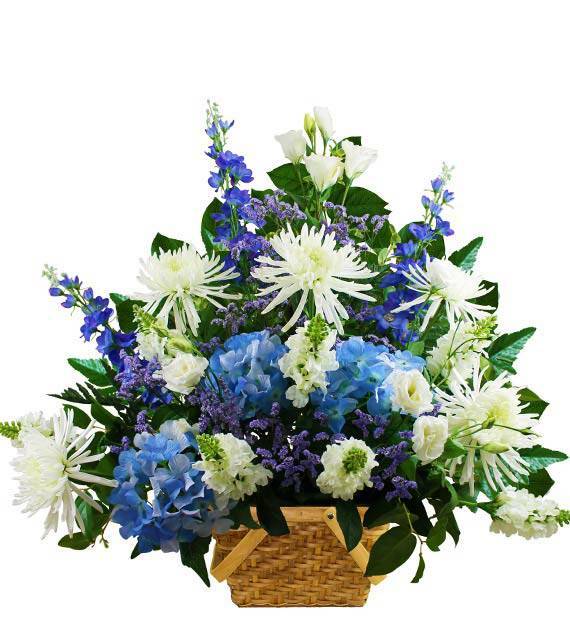 Our Traditional Blue and White Sympathy Basket is a beautiful remembrance of a vibrant life. Bright, fresh blooms are artistically arranged in a lovely basket. This will be a wonderful tribute to a special loved one lost, and extend your most heartfelt condolences. 07/24/2017 3:07PM Perfect to honor a beautiful life lived. Colors reflect the sadness and beauty of these trying times.— Eleanor C.
07/24/2017 3:04PM Perfect to honor a beautiful life lived. Colors reflect the sadness and beauty of these trying times.— Eleanor C.